Valentine’s Day is around the corner. Don’t forget to show some love with this stitched heart pendant. Or make one for yourself. 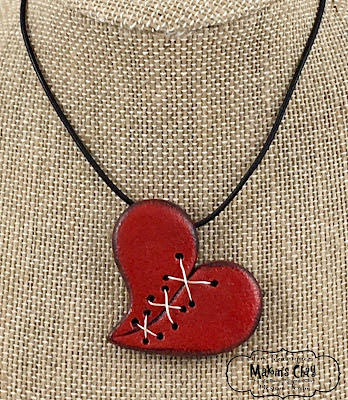 Not only is this heart pendant fun wear, they fuss free to make. 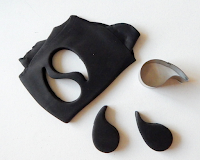 Simply adhere two water drop shapes created with Makin's Clay® and the Makins'® Water Drop Cutters. Roll out a ¼ inch sheet with the roller. 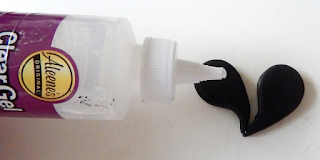 Cut two water drop shapes. 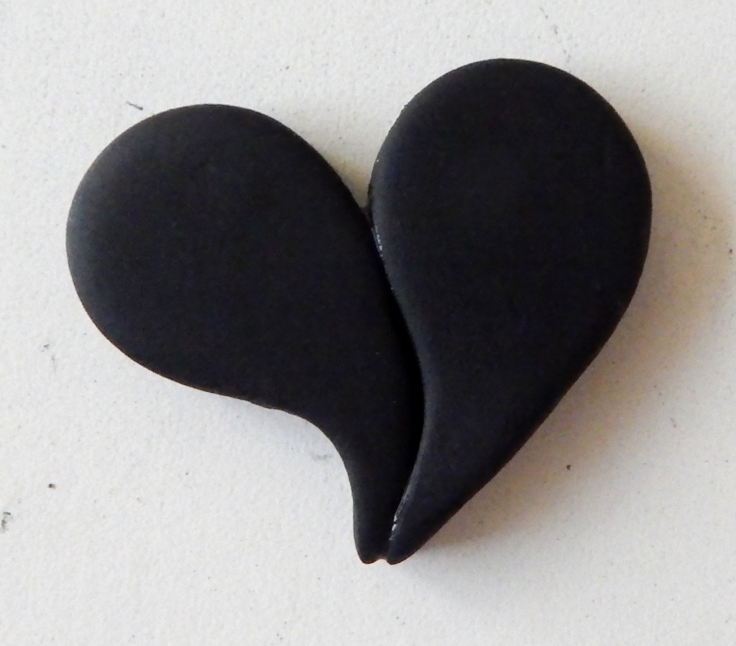 Make a heart shape by adhering both pieces on the curved end. Play around with the shapes; offset a little or a lot; you can get different wonky heart shapes. Keep a little a pressure on the shapes until the glue adheres. Allow the heart to cure for 24 hours. 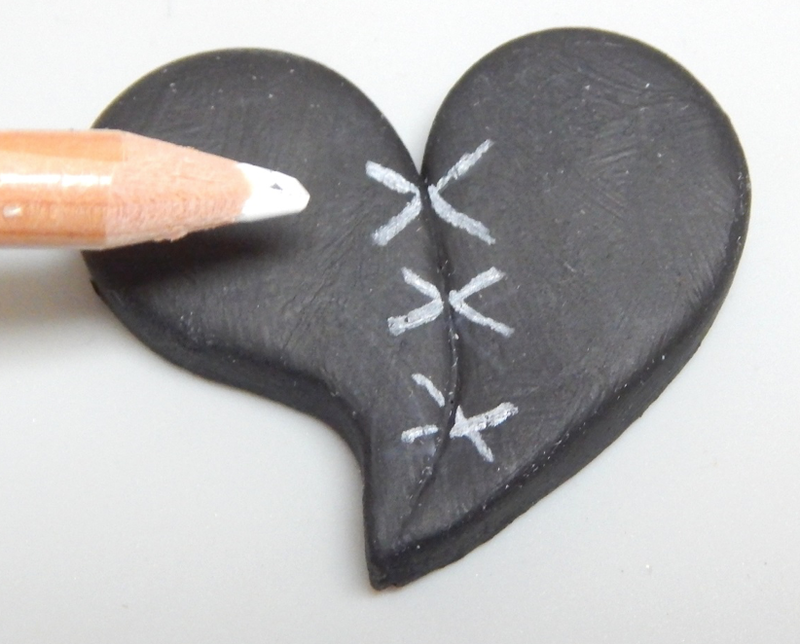 Using a pastel pencil or other water soluble marking tool, make X’s. At the ends of the X’s is where you will poke a hole. Ensure you have enough clay area to poke a hole. 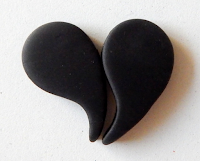 Poke holes into the ends of X’s. 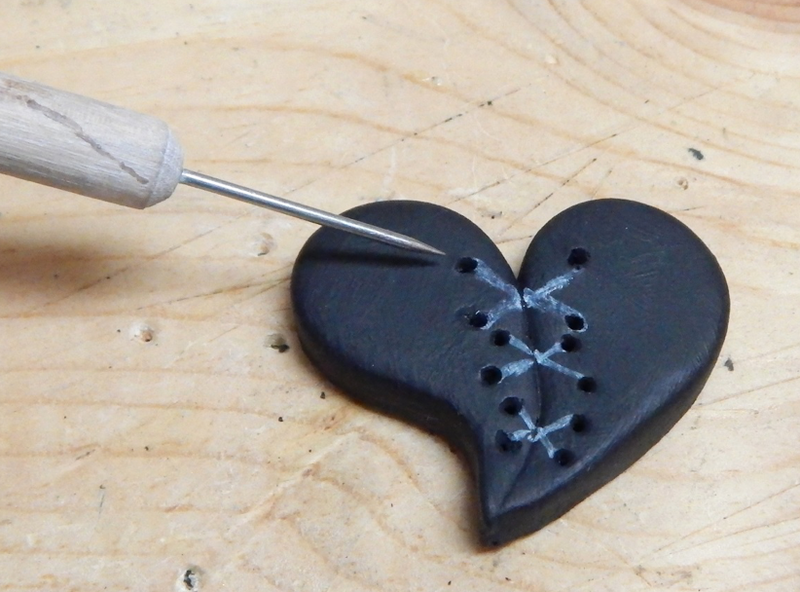 For this you can use a drill bit, needle clay tool, or awl. 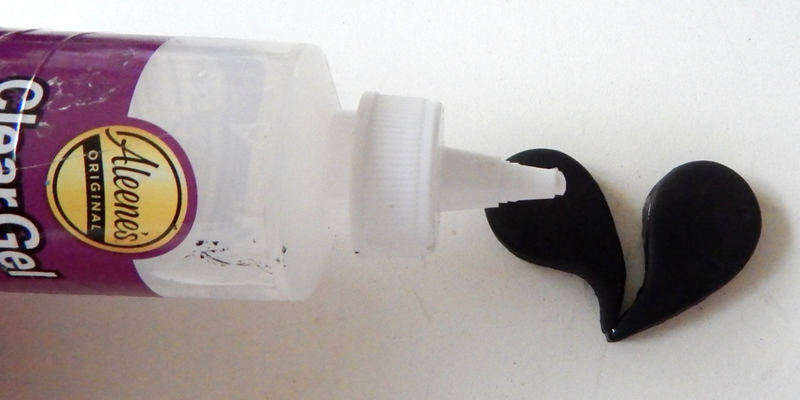 Ensure that your wire will fit through the holes. It’s wise to use a wooden surface or other tough surface, so that you don’t damage your crafting area, mat or table. Use a paper towel or cloth with a little water and wipe off the X marks. 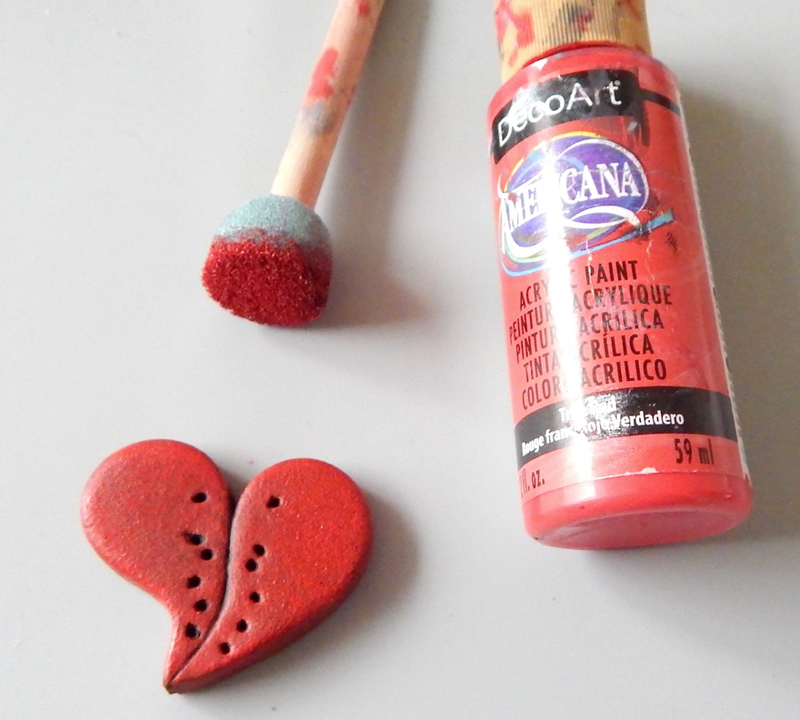 Paint the heart with acrylic paint, wax or other paints. Before the adding the wire, seal the clay with a clay sealer, or other type of sealer or varnish. Wrap the wire into the holes. Secure the ends in the back by twisting the ends. Run you fingers, ensure that the ends are not sticking out, if so; bend the wire in towards the clay or tuck under another piece of wire. At this point you can leave it like this or roll out a thin piece of clay and glue to the back, ensuring to cover the back. Add a hole toward the top of one of the sides of the clay; this is where you’ll on hand the chain. 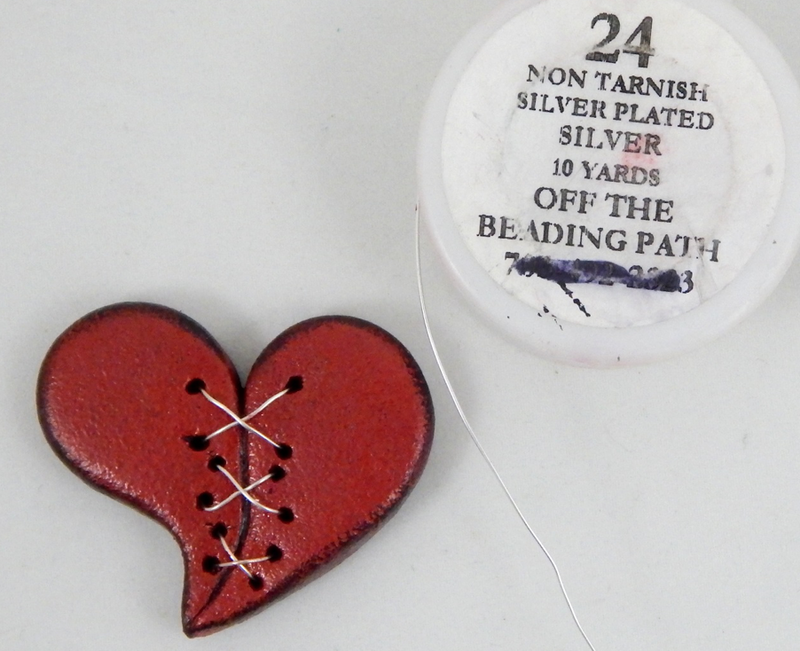 Run a leather or cotton cord through the hole. 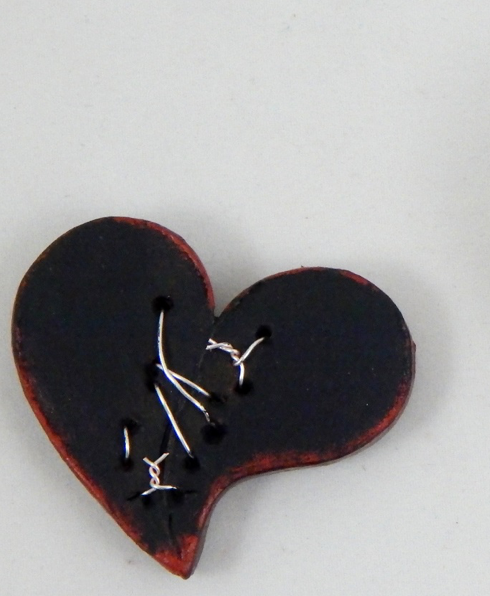 Add a clasp and you’re done!